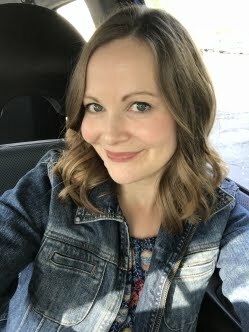 I made a salad for lunch today and tried out the product! 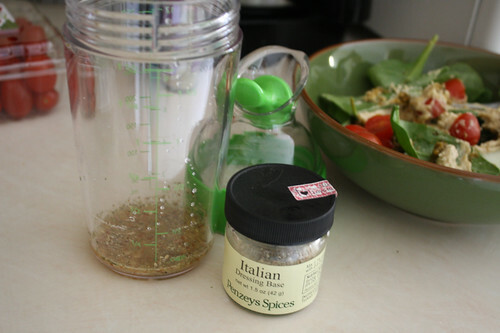 I used a Penzey's Italian salad dressing base. Mandatory: what are your favorite salad combinations? If you don't like salads, just say that and tell me what you are having for dinner tonight. 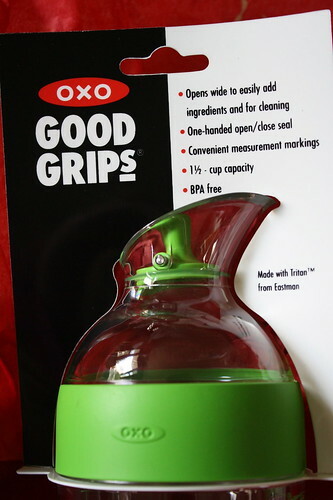 -Tweet about the giveaway "Lisa @ FitintheMidwest is giving away an @OXO good grips salad dressing shaker. Enter here:http://wp.me/p13dZe-1lE"
I'll announce the winner on Monday, May 7th at about 8 p.m. CST. Good luck! I love to combine lettuce, spinach, tomatoes, red onions, yellow peppers, cucumbers and green peppers in my salads! Thank you! My perfect salad includes mixed spring greens, chickpeas, beets, corn, sugar snap peas, carrots, sunflower seeds and homemade balsalmic vinagrette. 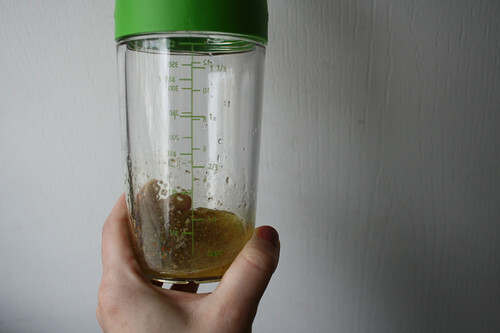 This shaker would be perfect!! Spinach, peppers, toms, mushrooms, beans! Hey Lisa, neat product! I love mixed/baby greens with spinach plus dried (or fresh) fruit, tangy feta cheese and sunflower seeds with a light vinaigrette. Mmmm. I love fruit, nut, and lots of leafy green combinations of salad! 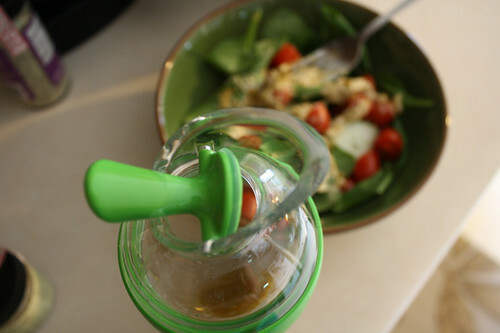 I love baby kale, spinach, broccoli, tomatoes, corn and a scoop of hummus! My favorite salad is spinach and strawberries or raspberries. 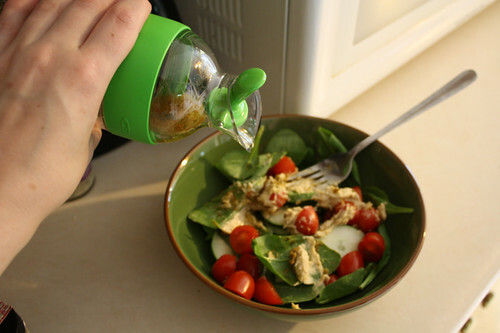 my favorite salad is butterhead lettuce (aka boston or bib), green onions, cheddar cheese, avocado, cucumber, fresh basil, sometimes alfafa sprouts, olive oil, red wine vinegar, English mustard (powdered) and sea salt and fresh ground pepper. Chop together, toss and enjoy! I like Chicken Caesar salad. Green leaf lettuce, sweet onions, grape tomatoes, black olives, and extra sharp cheddar with a Dijon vinaigrette. Tuna/White bean salad with red bell pepper, sweet onions, green peas, celery and their leaves, corn, fresh herbs, lemon juice, tossed with a vinaigrette. Spinach, dried cranberries, grilled squash in cubes and a poach egg on top. No dressing, because I use the yolk as it. Bummed I miss this giveaway! 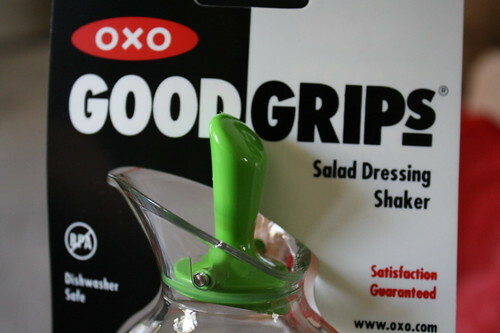 What a great kitchen gadget!